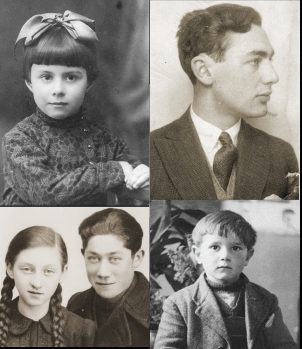 Holocaust Survivors and Victims Database -- PINKAS BELITSAH : (BELITSE) / [ha-`orekh L. Losh]. PINKAS BELITSAH : (BELITSE) / [ha-`orekh L. Losh]. 511 p. : ill., facsims., maps, ports. ; 25 cm. Book of Belitzah : (Bielica). USHMM Library: Memorial Books DS135.B382 B45 1968. Yad Vashem Library (Jerusalem, Israel). Call Number: T371. Library of Congress (Washington, D.C.). Call Number: DS135.R93 B346 Hebr. Jewish Theological Seminary Library, New York, NY, United States, Call No: DS135 R93 B346. University of Michigan, Ann Arbor, MI, United States, Call No: Has book. Harvard University Library, Cambridge, MA, United States, Call No: Heb 16658.211. New York Public Library, Jewish Division, New York, NY, United States, Call No: *PXV(Belitsa). Ahad Haam Library, Tel Aviv, , Israel, Call No: 933.5(438) 58. Boston Public Library, Boston, MA, United States, Call No: DS135.P62 B346. YIVO Institute for Jewish Research Library, New York, NY, United States, Call No: 9/77508. Congregation Neveh Shalom, Portland, OR, United States, Call No: has book. Brandeis University Library, Waltham, MA, United States, Call No: DS135.R93 B346. Rambam Library, Tel Aviv, , Israel, Call No: ka326. Yeshiva University Library, New York, NY, United States, Call No: DS135 R93 B346. Price Library of Judaica, University of Florida, Gainesville, FL, United States, Call No: Has book. 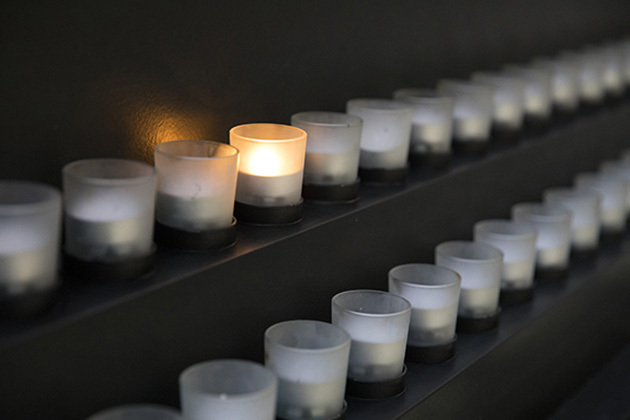 Holocaust Center of Northern California, San Francisco, CA, United States, Call No: bielica. Hebrew Union College (LA), Los Angeles, CA, United States, Call No: DS 135 R9.3 B3.46. Florida Atlantic University, Boca Raton, FL, United States, Call No: DS 135 B38 P53 1968. University of Judaism, Los Angeles, CA, United States, Call No: DS135.R93 B346 1968. Cornell University, Ithaca, NY, United States, Call No: Has book. Jewish National and University Library, Jerusalem, , Israel, Call No: 1265268. UCLA Research Library, Los Angeles, CA, United States, Call No: DS 135 R93 B41. Jewish Public Library of Montreal, Montreal, , Canada, Call No: Yizkor. Allen County Public Library, Fort Wayne, IN, United States, Call No: 947.6502 B47B. Holocaust, Jewish (1939-1945) --Registers of dead --Belarus --Dvorets. Holocaust, Jewish (1939-1945) --Registers of dead --Belarus --Dyatlovo. Holocaust, Jewish (1939-1945) --Registers of dead --Belarus --Lida. Holocaust, Jewish (1939-1945) --Registers of dead --Belarus --Navahrudak. Holocaust, Jewish (1939-1945) --Registers of dead --Belarus --Shchuchyn. Jewish ghettos --Belarus --Belitsa (Grodnenskaya oblast') --Registers. Jewish ghettos --Belarus --Dvorets --Registers. Jewish ghettos --Belarus --Dyatlovo --Registers. Jewish ghettos --Belarus --Lida --Registers. Jewish ghettos --Belarus --Navahrudak --Registers. Jewish ghettos --Belarus --Shchuchyn --Registers. Jewish soldiers --Belarus --Belitsa (Grodnenskaya oblast') --Registers. Jews --Belarus --Belitsa (Grodnenskaya oblast') --Registers. World War, 1939-1945 --Participation, Jewish --Soviet Union --Registers. Memorial books (Holocaust) --Belarus --Belitsa (Grodnenskaya oblast'). Belitsa (Grodnenskaya oblast', Belarus) --Registers. Selets (Grodnenskaya oblast', Belarus) --Registers. The full-text contents of this work have been OCR scanned, indexed and are searchable by either full-text, soundex or OCR-adjusted methods at Logan Kleinwaks' "The Genealogy Indexer" project website found at http://genealogyindexer.org/yizkor. Text primarily in Hebrew, partly in Yiddish, and with introductions in Hebrew, Yiddish and English. Image scans of the entire original work are available through the New York Public Library website at: http://yizkor.nypl.org/index.php?id=2182 (Accessed February 21, 2007). Added English t.p. : Book of Belitzah : (Bielica). JewishGen Yizkor Book Database at http://www.jewishgen.org/yizkor interprets title as: Pinkas Bielica. (Accessed February 21, 2007). Library of Congress Online Catalog erroneously locates the town of Belitsa in Bulgaria. Please Note: U.S. Board of Geographic Names lists no less than four towns named 'Belitsa' in Belarus. This one is located at map coordinates 53°39' N, 25°19' E, or 21 miles west of Navahrudak (formerly Nowogródek, Novogrodek, etc.) and 16 miles south of Lida.